Honeypod LLC is a hardware manufacturing company located in Delaware, USA. Their same-named Honeypod is a small portable hardware device that helps you to browse the internet more securely. The Honeypod device was designed to stop trackers, ads, and block unwanted third party communications before they ever reach your computer. The Honeypod is a small portable device that is as easy to use as connecting it to your home router and plugging the device in. The Honeypod device boots in approximately five seconds, making it a convenient and fast solution for the end user. The Honeypod hardware also monitors any request made from a third party to provide you with real-time insight into who is being blocked, and how many times they have attempted to access your information. The Honeypod hardware combines complex algorithms and DNS setups to encrypt your internet traffic. Using the Honeypod device is as simple as connecting it to your current internet connection. So where does Lethean come in? Letheans exit node services will be integrated in all HoneyPod devices, meaning that this will be the first hardware to be distributed with exit node technology. All Honeypod devices will have our SDP integrated, meaning it will be capable of operating as an exit node out of the box. This will drastically reduce the work needed for users to become an exit node provider, as users will no longer need to download and install the exit node software on their PC, and only need to plug in the Honeypod device to act as an exit node through the services of Honeypod’s hardware. Lethean will be automatically updating our software to ensure that users do not see any down time in the event of a change. With such a simplistic way to act as an exit node, it will make availability of exit nodes much more common, and will allow anyone who purchases a HoneyPod to become an exit node as soon as it is powered on. Having said that we expect to see a growth in exit nodes as more and more nodes will join our sharing marketplace resulting in a significant network growth & healthy competition between VPN providers. Having more options on the provider side can also result in a boost of people using Lethean VPN Services. We are proud seeing adoption of our developments & VPN technology. 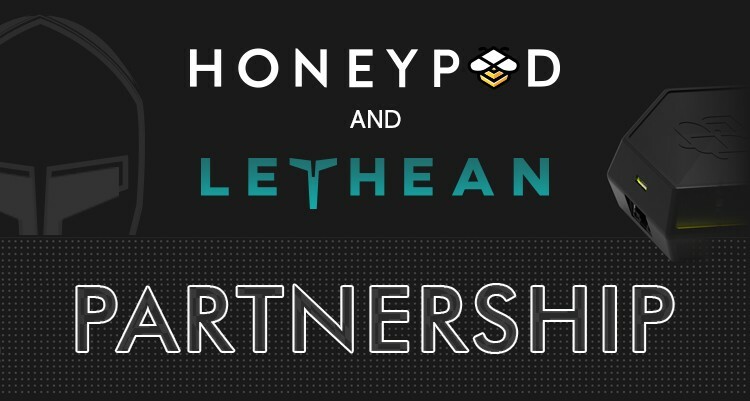 Honey pod expects to integrate Lethean technology prior to sending out the first round of HoneyPod devices to its customers, so we will be available as soon as HoneyPod is released. We are very glad that Honeypod has chosen to integrate us into their product. We believe that this arrangement will be beneficial to both parties, mutually supporting each other’s goal of making the Internet a safer and more private place to be. We look forward to a fruitful partnership with Honeypod, and hope that together we can truly become the safest way to be online! Lethean (LTHN) is a P2P VPN Sharing Network powered by a privacy focused Blockchain & untraceable Cryptocurrency. Together we remove geo-restrictions & unlock the Internet!